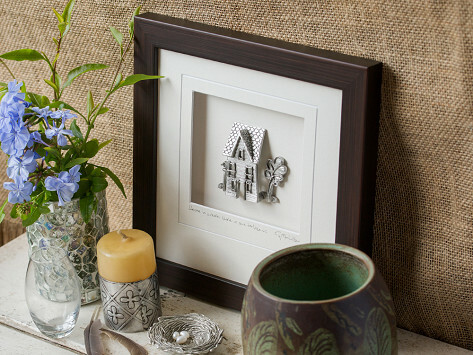 This handmade pewter wall art is a beautiful way to display loving sentiments. Each piece is Made in the USA and signed and titled by artist Cynthia Webb. The framed pieces are gift-ready, so all you have to do is give it—or hang one up for yourself. 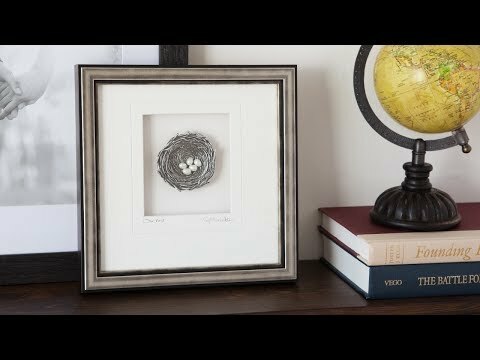 Dimensions: 9" x 9" x 1"
My son and his wife loved the framed pewter piece depicting a home, as they are in the process of purchasing their first home.